Like many other things from the past, our grandparents also speak of the stylish and macho cars of the bygone era. The vintage fascination never ceases to decline, come and go any number of generations. Here are 5 classic cars that you must take a look at. The absolute lost legacy of sorts! This car was made to honor Enzo Ferrari, the son of the founder of Ferrari. It was the first Ferrari car to be manufactured in quantity. The “246” in the name of the car is a reference to the 2.4 liter V6 engine borne by the car. Dino 246 GT claimed to reach top speeds of 146 mph and accelerate from 0 to 60 mph in just 7.4 seconds! Considering the era in which it was made, this was a great achievement. Pininfarina designed the Dino 246 GT and the car became renowned for its innovative design and intrinsic driving qualities. 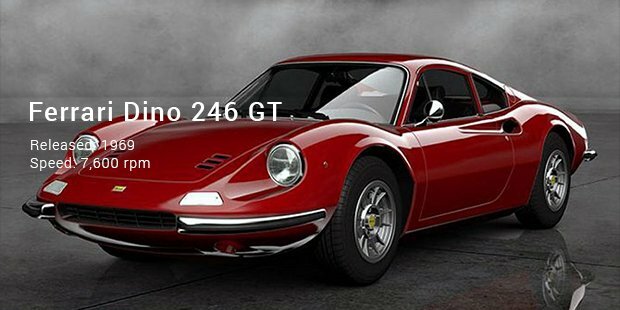 Motor Trend Classic featured the Dino 246 GT on its list of the 10 Greatest Ferraris of all Time. Because of its legendary status, this Ferrari model could sell at prices up to £200 at various auctions. So be prepared to shell out quite a lot if you really want this car. 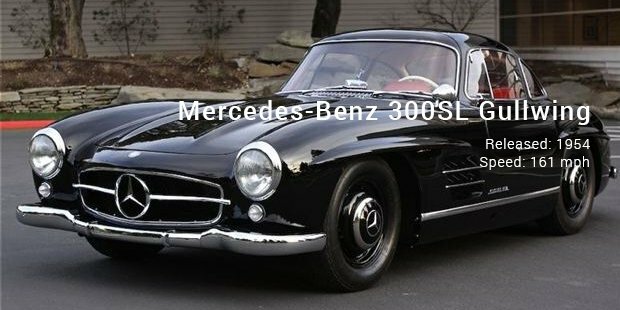 The 300SL Gullwing is easily one of the most coveted classic cars of the 20th century. Released in 1954, this two-seater sports car was the fastest of its time, reaching top speeds of 161 mph. It featured a groundbreaking fuel injection system. 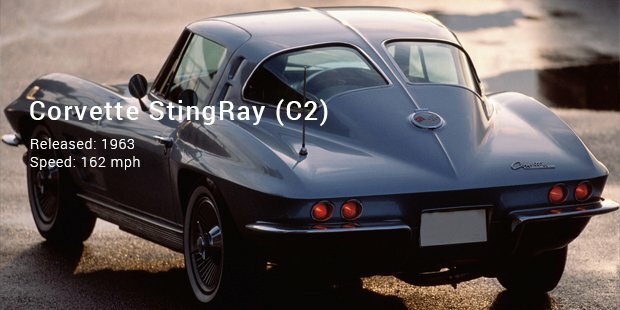 Plus, its gullwing doors became an iconic symbol. “300” in the car’s name is derived from its 3 liter engine and “SL” refers to sports light. Its engine is set at an angle of 45 degrees so that there is space for its low bonnet. Today, the Gullwing demands a price of a whopping £2 million. 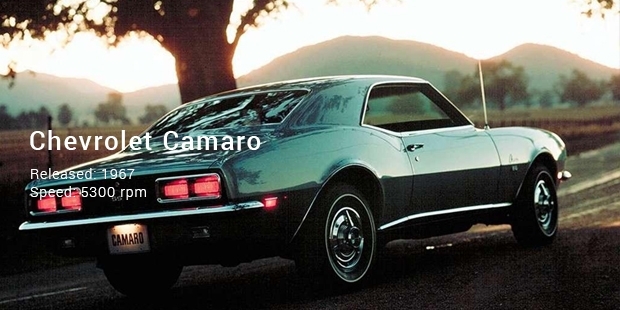 Determined to challenge Ford’s very popular Mustang, Chevrolet came up with the Camaro in 1967. It had a front engine configuration and a rear-wheel drive. 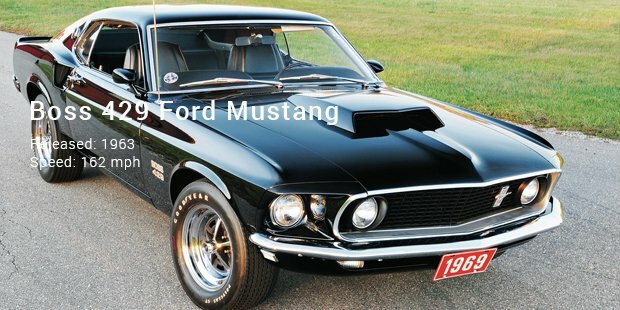 The car model has reached the fifth generation, but the original is still considered to be a classic muscle car. If you want to own one of these that are road-worthy, be prepared to pay upwards of £15,000. This rare, special-edition car was manufactured only between 1969 and 1970. Nicknamed “Boss 9,” it is a classic muscle car. The story behind the birth of this car is quite interesting. Ford was developing a superior type of engine for NASCAR racing cars. According to the rules, the engine of NASCAR cars should have been used in at least 500 cars sold to the general public. Thus, the 7 liter hemi-engine with 375 bhp was born. Ford claimed that the car could reach top speeds of 170 mph. Today, the Boss 9 would sell for over $400,000. Classic cars have a special aura and they have an elegance of their own. Despite modern-day advancements, they never fail to charm.